The Boxby Chip Mix is a tasty treat that consists of a combination of chicken and beef. 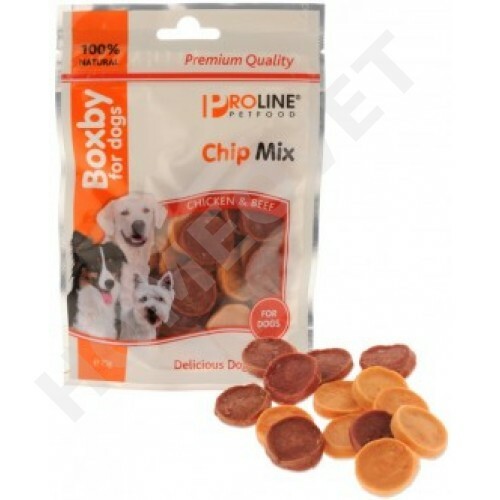 The chips are easy to digest and are suitable for smaller dogs. Meat and animal derivatives (50% chicken, 50% beef), vegetable protein extracts, minerals.